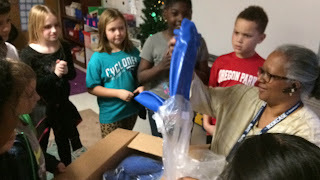 If someone would have told me that me that my third grade students would not only record a green screen movie using DoInk, but would then upload that video to iMovie to edit (add titles, credits, and background music) and finally post that movie on Seesaw for their parents and other classmates to enjoy I probably would not have believed it. Heck! I didn't know how to do all that myself! My students used Do Ink to record public-service announcements about recycling. We were having problems with some of the videos. I wasn't really sure how to use the app, let alone how to edit the final product, but I knew it could be done; my fifth graders had just done it just a couple of years ago. They were pros at it. They did it all, recording and editing. They did it so well that I didn't pay attention to HOW they did it. They seemed to figure it all out. 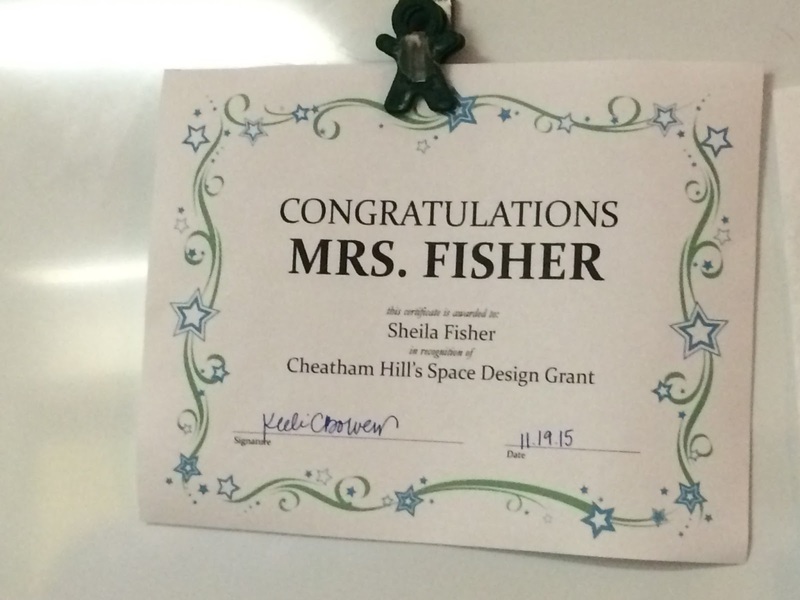 Now as a third-grade teacher I needed know "how" they did it. . . or did I? That's when it hit me. I flipped my class for content, surely there are videos on how to use DoInk and iMovie. So I went on YouTube and searched "how to add titles and credits using iMovie". Then I thought "Hey! I can google how to use DoInk". So I did. Next, I created a technology folder on Edmond and upload those videos to our Edmodo class page. I don't know why I hadn't done that before! I told one of my students who was particularly tech Savvy, "I want you to go home, watch these videos and figure out how to add titles and credits to your Do Ink video using iMovie". And guess what. He did it! He posted the edited version of the video on Edmodo. It was awesome! When he came back to school the next day, we had a little tutorial session and he showed other students in the class how to use iMovie to edit their videos. Now everyone is doing it, including me! I learned the "hows" of recording and editing right alongside my students! My students were able to figure it out without my direct instruction! I guess what I really wanted to say was you don't have to know how to do everything BEFORE you give that experience to your students. You just have to have the resources available and they will figure it out! Yes, even in third grade they will figure it out! Here are two videos that were created with DoInk and then edited with iMovie. Enjoy! 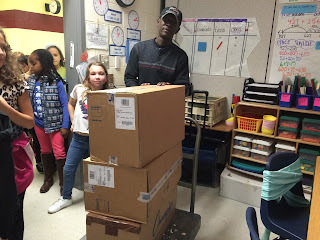 We learned how to make the recycling bin fly in from watching the tutorial video! Pretty cool, huh? It's the little things that keep me excited! I just found out today that if I make subpages in OneNote, then I can organize my Table of Contents. Let me explain. After adding so many different things to my student's notebooks it was becoming a little overwhelming, especially for third graders! Things were starting to look a little cluttered. So I began adding dates to the titles to make it easier for them to find stuff. A little better, but not so much! This was actually my first attempt at trying to organize the Table of Contents. I even thought about just deleting pages we had already used and starting fresh each marking period. I didn't want to do that because there are some entries I wanted them to refer to time and time again. I also wanted them to have a record of their work and their growth throughout the year. So I kept playing around with the TOC and I literally just discovered that if you make subpages you can collapse the different sections. So how do you make a subpage? Just "right-click" on the page name and select the option "Make Subpage". It's that simple! If you think about it, it's like putting those subject dividers in your regular - (I hate to say it, "old fashioned" ) notebooks. LOVE IT! I will continue to add the date at the beginning of assignments, but it's not necessary for the other resources I add to their notebooks. Hopefully, this little tip will go along way toward organizing my student's digital notebooks. Are you using OneNote EDU? I would love to hear about some tips you use to help your students organize their digital notebooks! I am so excited! 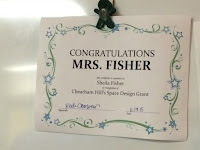 My wonderful administrative team announced they were going to award two $1,000 grants for a class makeover. I applied and I won! What did I win? Only something I have wanted for almost 5 years . . . a class set of Wittfitt Stability balls. 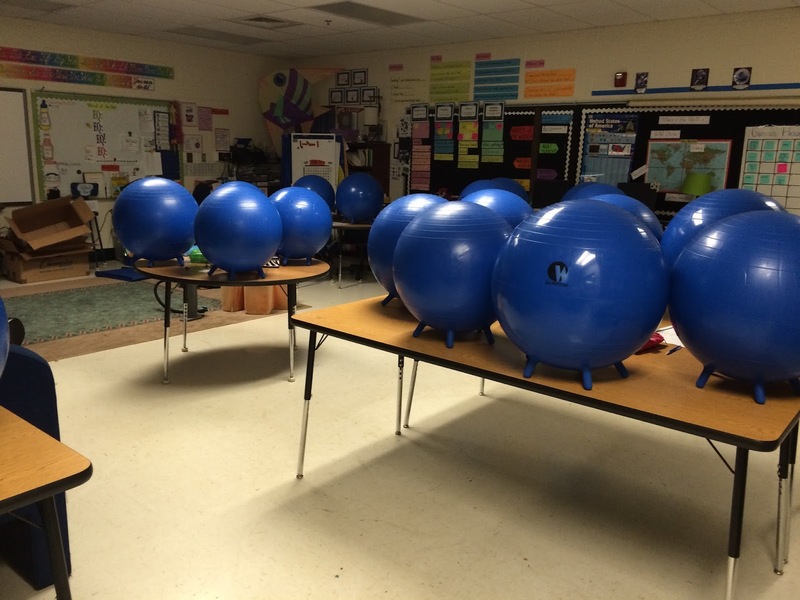 There is lots of research to support using stability balls in the classroom; especially for students with attention-related challenges. Click here and here to read more. Movement helps children "get the wiggles out" which aides their natural need to move. This actually helps them focus by expending the excess energy they build up throughout the day. Sitting on a stability ball supports and builds their core muscles. This also helps develop large motor muscles, which support small motor muscles (writing and hand strength). Of course, you will need to teach proper sitting techniques. Students must sit on top of the ball with both feet on the floor. We also discuss appropriate movement while sitting on the ball. Our general rule is if your movement is distracting to other, then you need to adjust. These balls have these little (for lack of a better word) teats on the bottom, so the balls stay where you put them. They can be placed on tables at the end of the day for storage and they won't roll off. When the kids get up from their table, I just remind them to "tuck their balls" and they move them underneath their tables. I was always a stickler for pushing chairs under too. When you order a class set, they come with a pump, a measuring tape with guidelines for maximum capacity, and an instructional manual. The manual has lessons for incorporating the balls in class. It also includes guidelines for inflating each ball for each child. The balls can easily be inflated to just the right height for each child. I teach third grade, so Lisa suggested the blue balls for my kids. When I first got the balls, I thought "these are going to be too small for my kids". Not so! I had them sit on their ball and made sure their hips were slightly above their knees and then let out air or added more air for each child. This is the best position for good posture and back support. 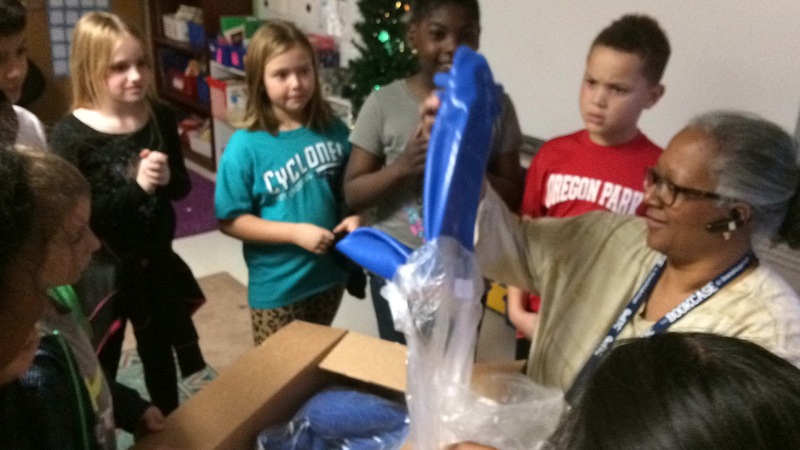 It is really important that you inflate each ball for each individual student. My kids know which ball is theirs because they fit them! I also had to lower my tables. I have been very pleased. Not only am I encouraging good posture and developing core strength, but I am giving my students an outlet to get the wiggles out and stay focused! That's a win-win in my book!